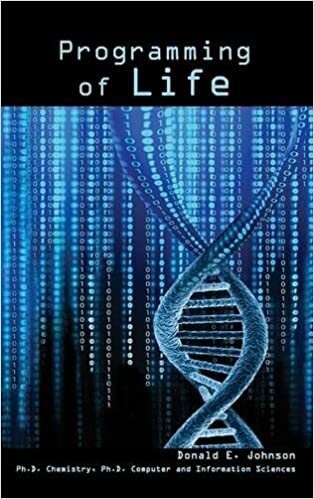 Don Johnson is the author of Programming of Life and Programming of Life 2: the Earth These vids introduce the ideas. So what IS this life form? Don Johnson does some great work. Hello. I have been a reader here for a short while and finally had to bite the bullet and register so I could comment. The description and animations of how DNA and proteins work are truly eye-opening and amazing. Am I just engaging in confirmation bias (I am a christain theist), or is it ridiculously self-evident that this biological information is carefully structured?! Cheers! Gotta run. Programming of Life 2: Earth is on. First of all a disclaimer — I am not the Don Johnson of this article, just an interested layman having the same name. However, I have had a long career in systems/software development as well. I share your interest and fascination with the video animations of life at the cellular level, and I also have had questions regarding the validity of the animations. I invite you to read an article I wrote awhile back where I had some of those questions answered by actual researchers in the field. I’d be interested in your reaction to my article.